As many of you would be aware, I have been streamlining my wardrobe for nearly 12 months. My goal is to have a modest selection of good quality clothes that I love and are flattering to wear. The Duke generally keeps his selection of shirts under control but after our shopping spree in Melbourne a couple of weeks ago it became obvious that he had too many pairs of trousers that he rarely wore. 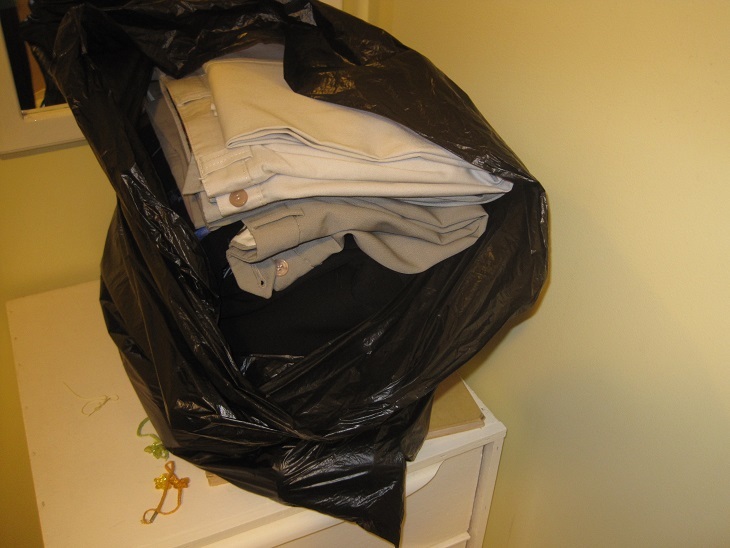 So, this evening we went through them and culled 3 pairs of trousers as well as the suit he had replaced. 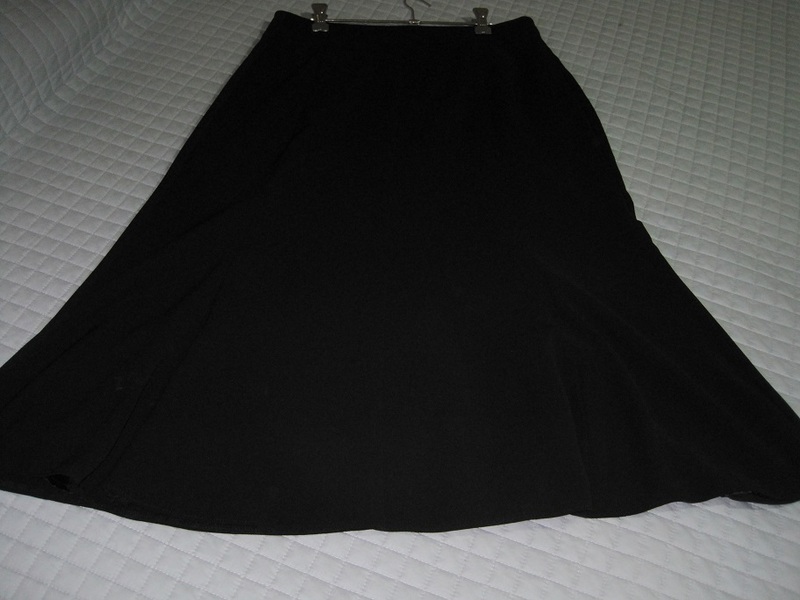 I have also put 3 skirts into the op shop bag. 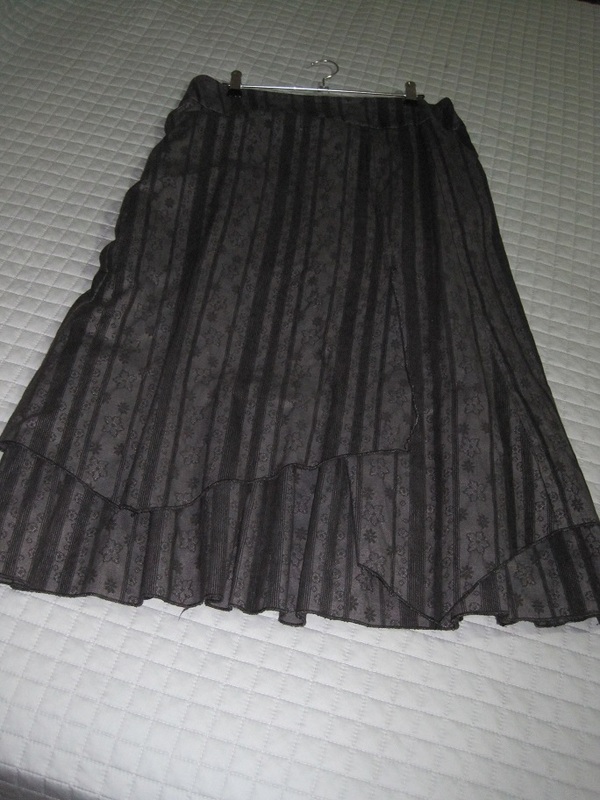 I am planning on refashioning 2 other skirts but the these do not fit with the clothes I need and love. All of the items we are letting go of are good quality and in excellent condition so I hope someone can use them. In the back of my mind I keep thinking of the money that we have spent on these (and clothes) over the years but I know that I cannot use that as a reason to hang onto them for ever. That is no way to recoup the money spent. However, it is a timely reminder to be very thoughtful about what you spend you money on, whether it be clothes or something else entirely. It is far better to someone else the opportunity to gain some use from the items that are no longer wanted or required. Finally, a warm welcome to all of the new readers and followers. I hope you find something of interest in my blog and thank you for joining in. 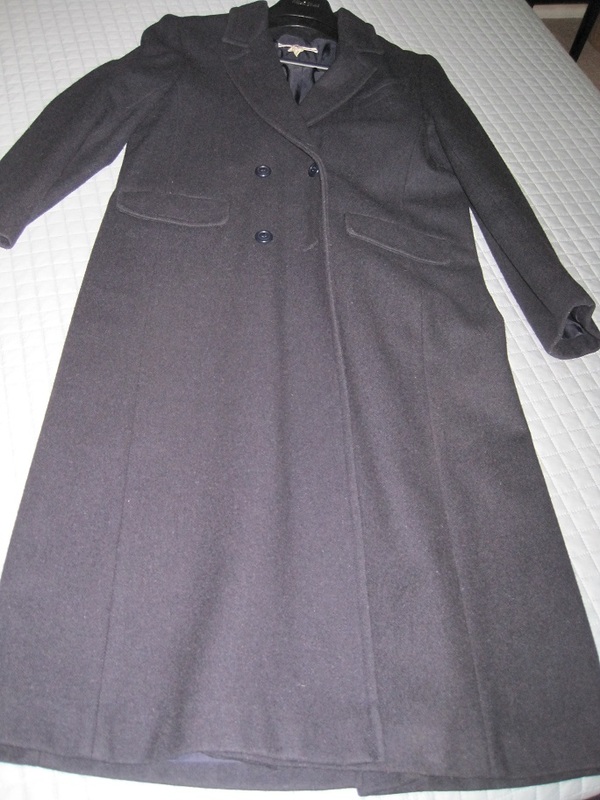 In Project Streamline this week I am looking at my coats and jackets. Many people who live in more extreme climates would suggest that we do not need jackets or coats in Queensland. However, we live in one of the cooler districts and these are mostly quite lightweight so they all get some use during the year. The colours are either neutral or fit with my basic colour combinations. We are only 3 weeks into our ‘official’ winter season and these have all been worn this year. 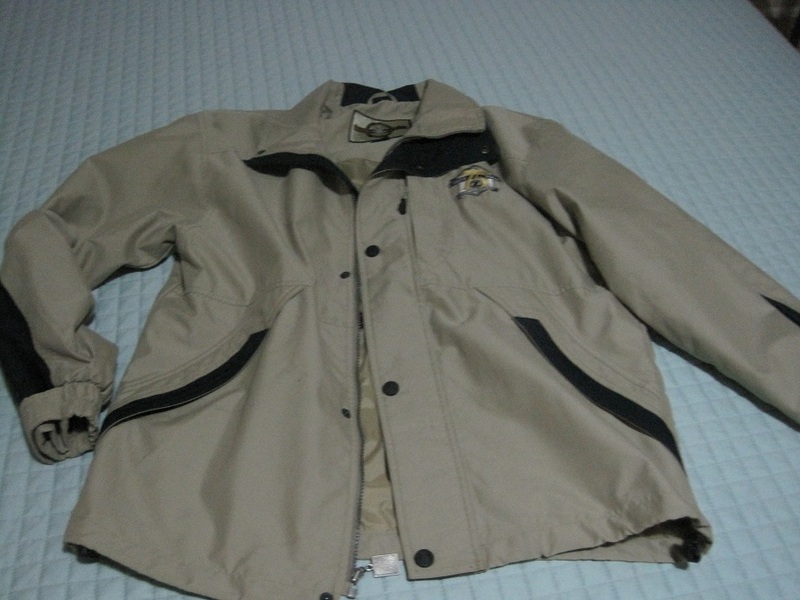 Good for outdoor activities and travelling. 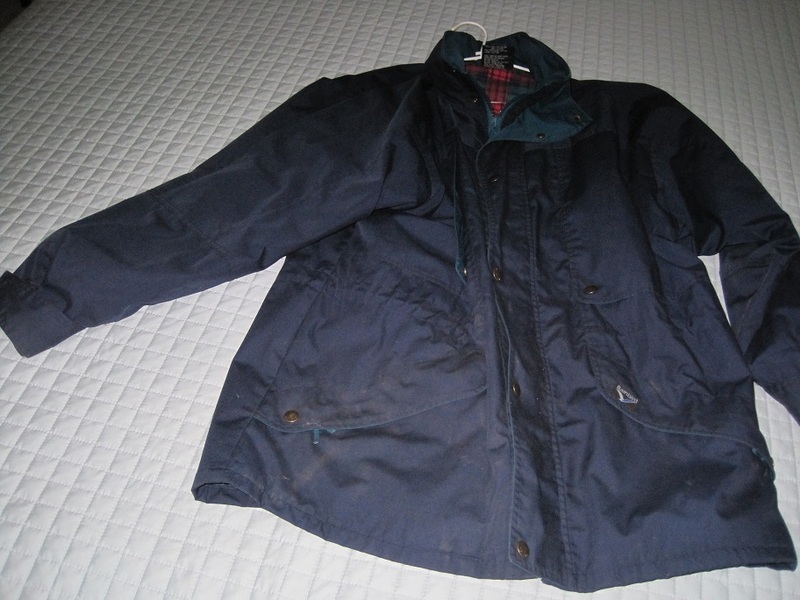 20+ years old, usually worn once or twice each winter. I wore this today to work and probably will for the next couple of days as it is quite cold when I leave home and again when I walk from the train station to the office. This was a corporate gift about 8 years ago. 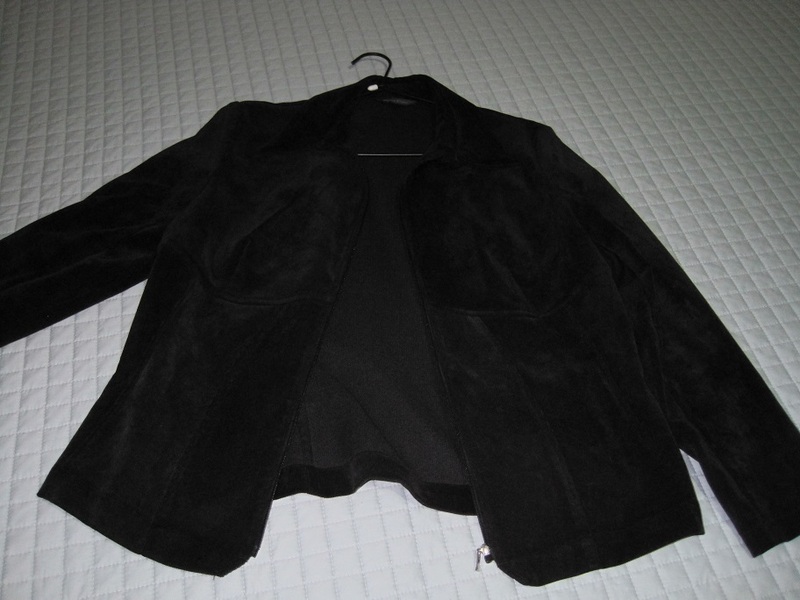 It gets worn when I don’t need the weight/bulk of my navy jacket. I wear this to work regularly as it teams with all of my work clothes. Versatile item which is worn to the office with business attire or jeans on the weekend. 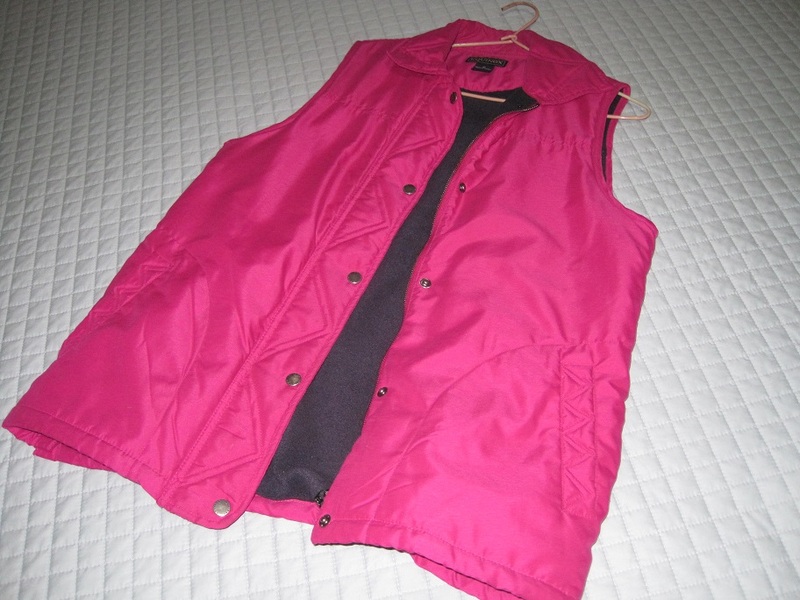 Great for in between seasonal wear. Colour fits with the rest of my clothes. I bought this a few months ago for our holiday in August/September. 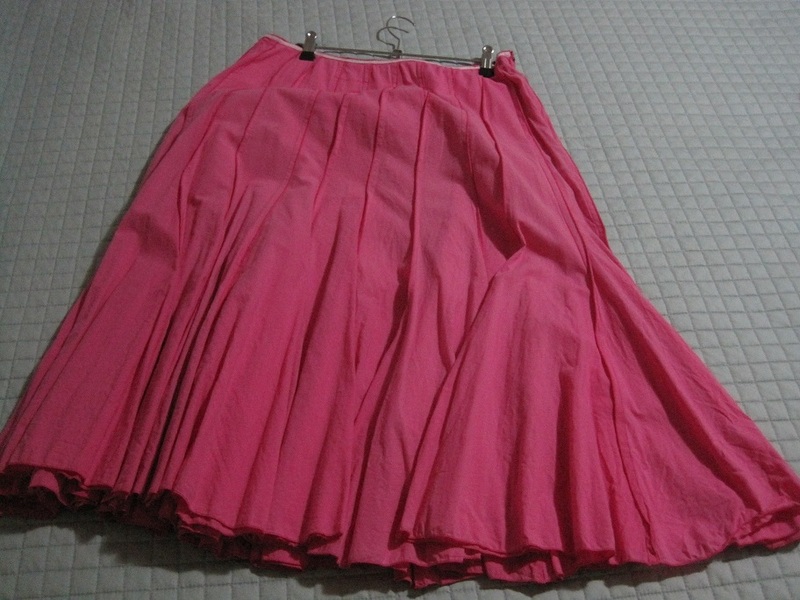 I plan to keep it for the trip although I have worn it once – when we went to the football. This belonged to Belle but she no longer wanted/needed it so I decided to use it when we are travelling. It is lightweight and takes up very little space. 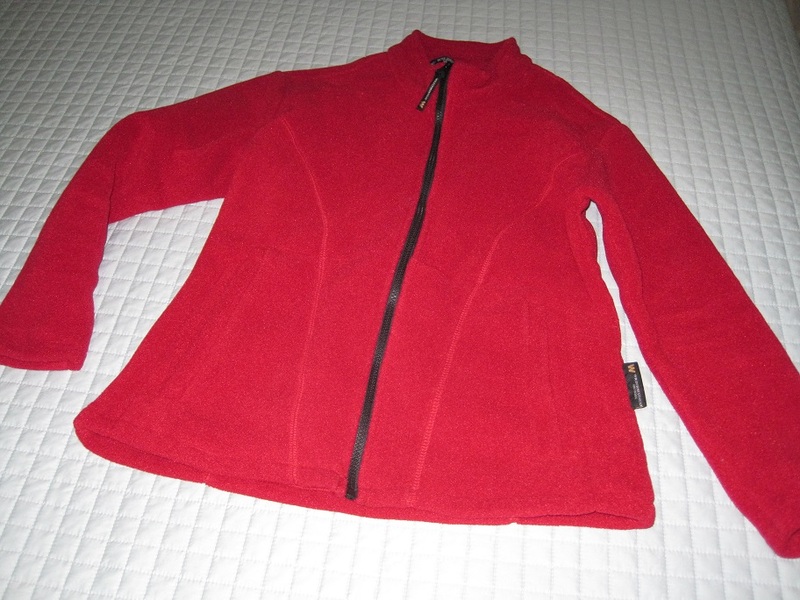 The sizing on me is generous so I can wear it over a couple of other layers if required. 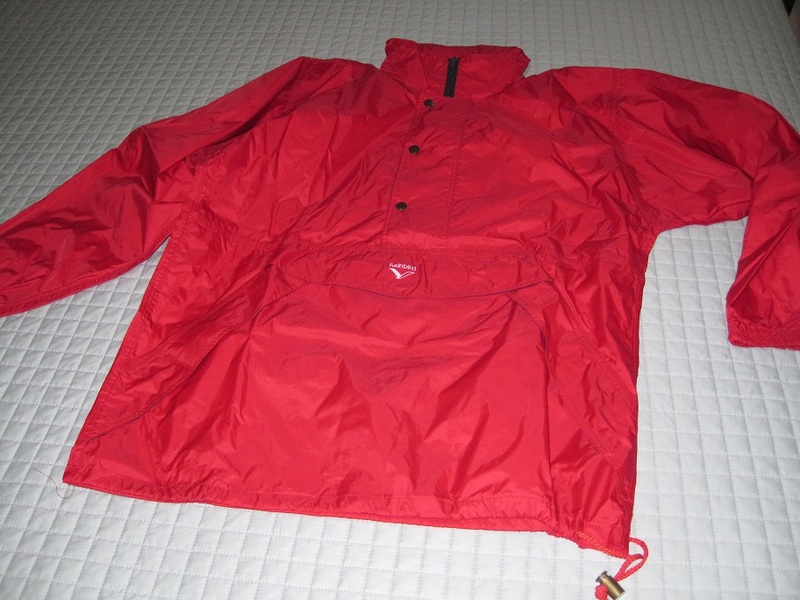 After I had taken all of the photos, I remembered that I have another spray jacket (navy zip-front one) but it is much lesser quality and does not stop the wind as well as the red one. 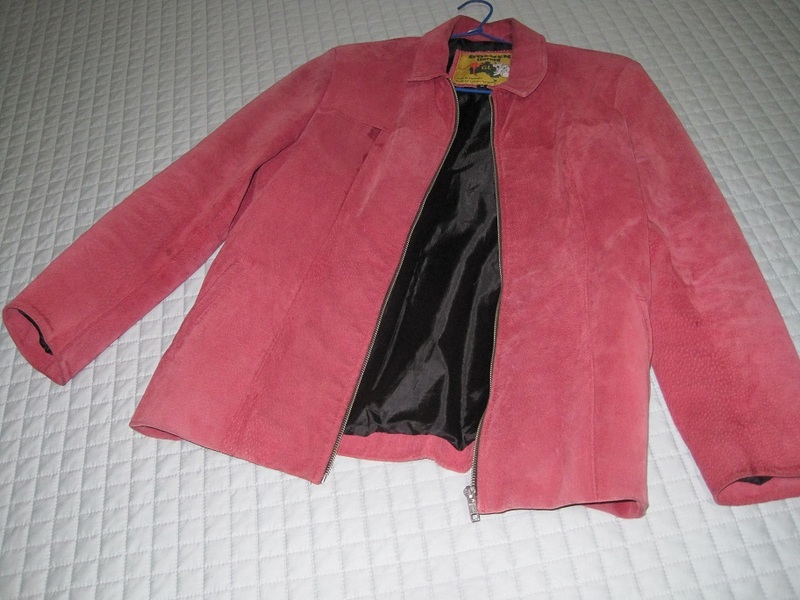 I am happy that all of my jackets and coats have earned their place in my wardrobe and they will stay, even though they are mostly worn only during about 4 months of the year. Next week I will start on my tops/t-shirts/blouses. I have put these off until last because I am not sure how to group them and there are more than any other category. However, I will bite the bullet and do them so tune in next week to see how I justify them. 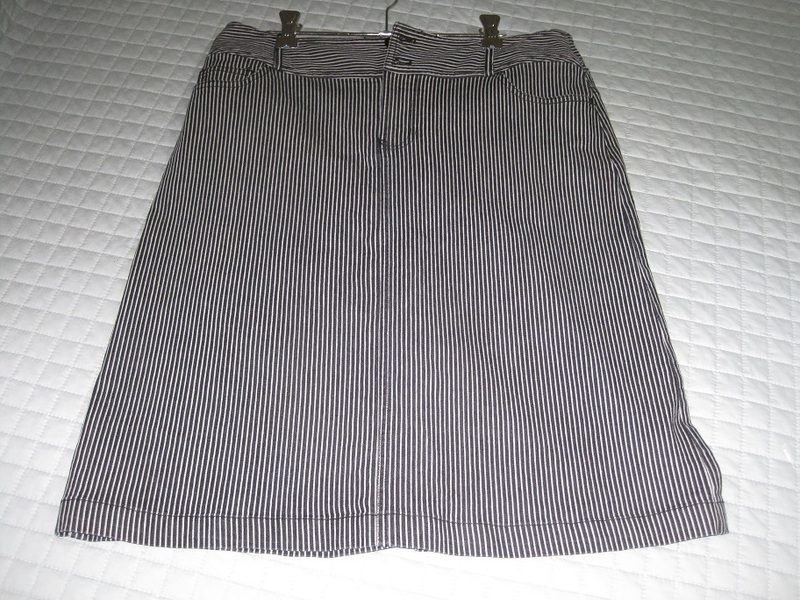 Following on from my earlier posts on trousers, shorts and dress, here is the latest instalment of Project Streamline – skirts. 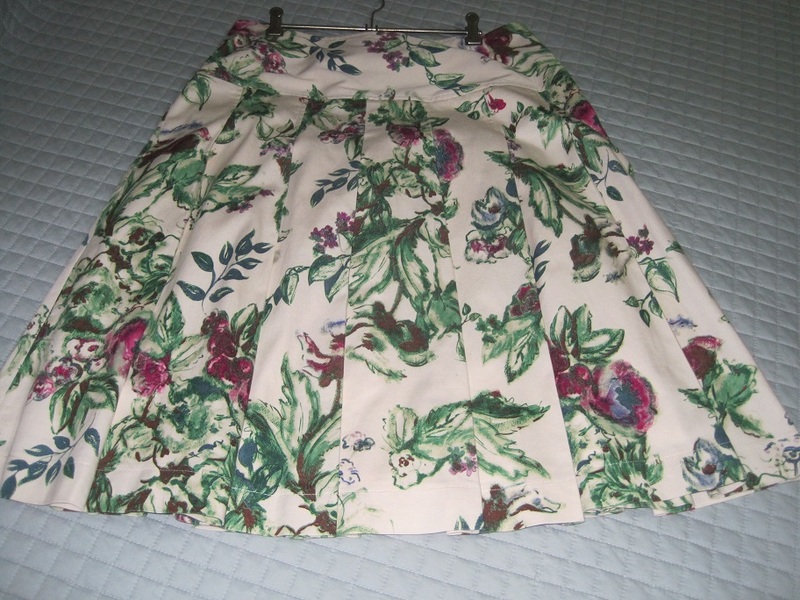 My skirt collection is all about what I wear in public – unlike my trousers! 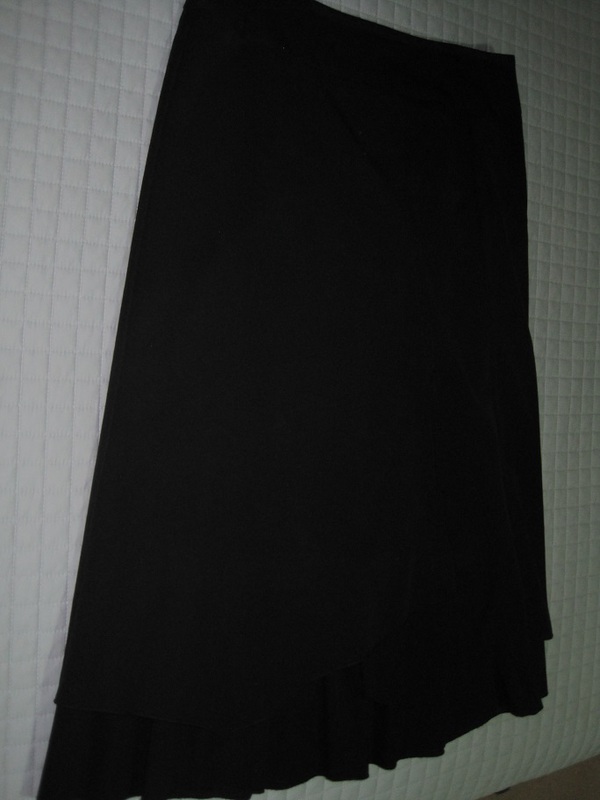 I have not included a skirt which I put aside when I first started Project 333 back in April as it most likely will not go back in the wardrobe. 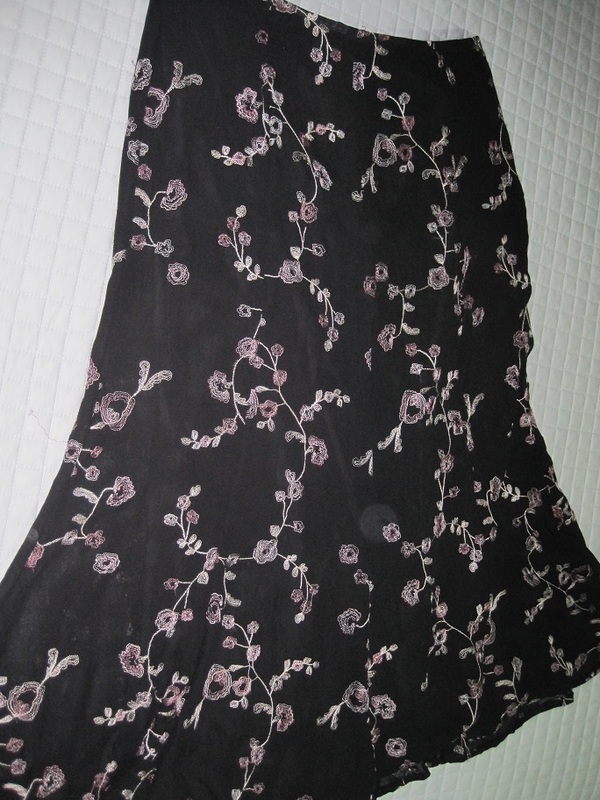 Much and all as I have loved the floral embroidered skirt I think it is almost time to let it go. Other than that the rest will stay for the time being.